April, an East Tennessee native, started her career in property management in the 1990’s as an assistant property manager. In 1998, she decided to take some time away from the industry and become a stay-at-home mom. During her time away from property management, she cared for her family, earned her cosmetology license, and in 2009 opened her own salon business. 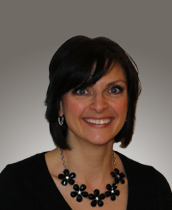 In 2014, she returned to property management full time for a local apartment community. April started with UDC in February of 2017 as Property Manager for Brush Creek Meadows and River View Townhomes. In April of 2018, she moved to handling the daily operation and management of Town View Apartments and Universal Storage Solutions. Currently, April now manages Town View Apartments and River View Townhomes in Elizabethton. In addition to taking on daily operations and management of new properties, April completed the Certified Apartment Manager or CAM training program, a nationally accredited training program from the National Apartment Association. April currently lives in Johnson City with her family.